Knowledge acquired from books, newspapers and magazines is not enough to present in an interview. Interview is a verbal test to evaluate your qualities. It is a process which looks at how you react to various situations. The interviewer/interview board assesses candidate’s personality for psychological traits and sociological qualities before it comes to vital decision. An interview is formal meeting with a view to ascertaining one’s aptness for the job. It gives an opportunity to the interviewers to peep into his/her mind and understand his/her thought process. It’s a social process which involves interaction between the interviewers and the interviewee. In an interview a rapport is established between the interviewers and the interviewee. For purpose of recruitment of suitable candidates for various jobs – both in private and public sector organizations, an interview plays a very important role. The interviewers try to expose the candidate to gauge his/her views, ideas and knowledge to determine suitability for recruitment. Why do you want to join this field? Suppose you are selected for this job, would it satisfy your professional ambition? Suppose you are not selected this time, will you try again for this job or look for a career elsewhere? What is your greatest strength or strengths? What is your greatest weakness or weaknesses? After asking such questions interviewers judge the suitability of the candidate for the job. An interview is a kind of oral test of a candidate’s personality rather than an examination of his/her personal achievements, scrutiny of his/her original certificates, testimonials etc. Through an interview the interviewers analyse candidate “personality” as well as intelligence. Don’t get panic if one is lacking in one or more of these qualities. All these can be developed in a step by step manner and personality can be improved in a great extent. There is no short term course to train you for the interview. One can develop required qualities through conscious efforts. Always remember that personality and intelligence cannot be inherited from parents but it can be developed with efforts, by proper “training” just like any other skill. “If a person is well dressed”, we often listen and sometimes say “he has a good personality”. But this sentence doesn’t hold water because personality is not only an outward appearance of a person, it is more than that. There is a lot of more in a personality than merely possessing physical attribute, such as good looks, a handsome appearance and a good physique. Personality includes not only the physical attributes but also psychological traits and dynamic qualities such as etiquette and manners, attitudes, presence of mind etc. Personality is equal to the sum of total impression of one’s mental, physical and intellectual make-up. Through personality testing, the interviewer or the board of interview tries to gauge mental caliber, attitude, career inclination, judgment and leadership qualities. An interview is not only an assessment of intellectual qualities bit also social traits, general awareness and interest in current events. Knowledge about physics, chemistry, botany and zoology. 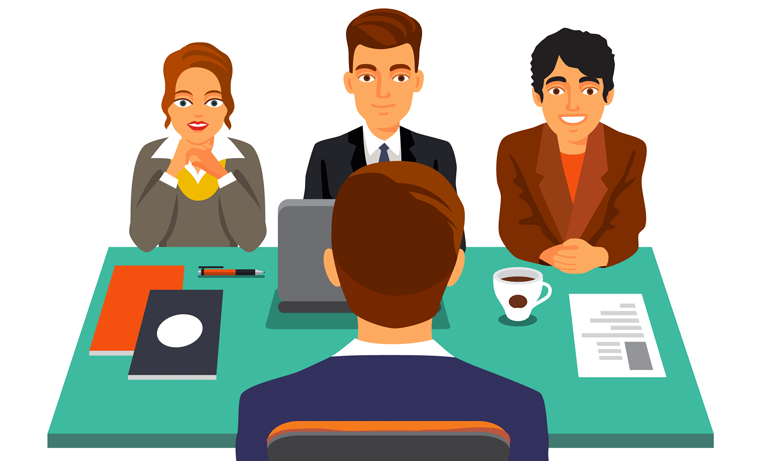 The members of the interview board mostly try to discover the qualities of the respective candidates and for that sometimes they ask questions from other sphere of knowledge to test the candidate’s general knowledge. Interview board simply wants to find out the weaknesses of the candidates are required to present their dynamic outlook. If you don’t know the answer’ don’t beat about the bush because interview board wants you to answer every question appropriately. Members of interview board are experts who can easily spot the inconsistency between what you are saying and what your body language conveys. Don’t be hesitant and nervous. Don’t falter nor should you try to have any doubts or fears of the men in front of you. Have a self confidence while answering the questions. Interview board will try to baffle you or annoy you, but it is better to maintain your mental equilibrium. Never get baffled, but be fully attentive and answer the questions in such a way that others should get convinced of your ability. The candidate is supposed to avoid all sorts of nervousness and hesitation. Candidate should express himself un-stammeringly and fluently. The candidate must have the requisite measure of tactfulness and he should be able to understand the issue and if he finds any intricacy involved or any confusion, candidate should tactfully tackle that issue or he should dilate upon the issue in a convincing manner. Don’t scratch your head when you are baffled nor you should raise your hand in anger. Cast off your shyness and mix up with people, exchange ideas and impress them. The candidate should not have the elements of shyness and nervousness. Candidate should be bold enough to express his views. Always try to be optimistic in your approach. Be clear in your vision and perspective. Never be a pessimist. A hopeful man carries the day ultimately. The interviewers always try to gauge candidate by asking ridiculous questions like “if you are a tree, what kind of tree would you be?” or “if you know you are going to die tomorrow, what would you do today?” or “why should this company hire you?” or “why have you had so many jobs in such a short period of time?” or “why have you been searching so long for work?” or “why are there big gaps on your curriculum vitae?” this is just to weed out candidates who don’t possess the qualities to tackle these questions. As easier said, interview is an oral examination to assess your personality. Educational accomplishments are not enough to achieve success in life. Even the most studious students lag-behind in the race of life. So far as speaking is concerned, it matters a lot and one should try to perfect this art. Use formal language and speak in English only. Avoid mixing up English with local dialects. The fluency of expression, clarity of speech, logicality and rationality of ideas matters a lot. Your tone and pronunciation should be audible to the listener so that whatever you speak, they follow every word. Never let any member of the interview board to say “please repeat it again, I couldn’t understand you”. If it so happens, you may feel uneasy, confused or you may forget what you were speaking. Don’t leave the topic unfinished. Try to complete your answer. For improving speech one should read newspaper daily. Read it aloud so that each and every word is audible to you. Try to pronounce it with clarity, repeat reading practice unless you start pronouncing it with clarity. Don’t be in a hurry while speaking. Take your time to pronounce the word accurately. Analyse your shortcomings and try to overcome your shortcomings. Your way of turning back and leaving the interview hall. Your dress should be well tailored and not out-dated (not very fashionable or hippy type). Don’t wear fast colours and unmatched combinations. Clean and well ironed clothes are far more important. Never prefer to be dressed in a new dress for an interview. If fitting is not good you may feel uncomfortable. Don’t wear casual clothes like jeans. Also pay attention to your shoes. Shoes should like clean and well polished. I want mention here once again, don’t wear new pair of shoes to an interview because you may not feel relaxed. Always travel light to an interview, don’t carry needless diaries, pads and pens etc. Don’t wear suit without matching tie with your shirt. Your hairstyle should be neatly combed. A hair-cut before interview may make you look awkward, avoid hair cut. Boys should be well shaven to look good. If you wear turban, make sure it’s clean and properly tied. Your turban should match with your clothes. Girls’ hair should be tidy before entering the interview hall. Interviewers can judge a lot from your facial expressions. Always put on a smile when you enter the interview hall and ask politely, “May I come in?” you should keep smiling but as it may seem awkward, as you enter the interview room and wish interviewers according to the time. Smile on your face shows your confidence and stress-free attitude. It helps you develop an understanding/rapport with interviewers and can at ease with interviewers. Don’t keep smiling once you start. Your face expressions should be balanced. When you enter the room, close the door behind you with one hand without turning your back towards interviewers. Wear a smile, walk confidently towards interviewers up to table and wish in a firm voice, “Good morning, and sirs/gentlemen” (as the time may be). Don’t sit in the chair until you are asked to do so. You must keep standing if none is looking towards you and wait tolerantly till someone listens to you and reciprocates with gesture of good will offering you a chair. Don’t forget to say “Thank you” after occupying the chair. Don’t miss any opportunity to complement the interviewer. Your way of walking shows your confidence in yourself and your “forward walking” (the way of walking should be sturdy and firm) shows fearlessness and your ambition to win in life by overcoming all difficulties. When you say “May I come in sir” before going inside the room put your right foot little ahead to your left foot because after getting permission to come in it gives self-belief to walk immediately towards the interviewer with quick strides on the reaching near the table with graciously with a lovely smile (according to the time). The moment you are asked to sit then sit occupying the whole chair with a pleasant smile and exhibit your confidence. Don’t sit on the edge of the chair and do say “Thank you” after sitting. And don’t try to shake hand with the interviewer at your own initiative. Therefore, when you enter the room, you should look sober, energetic and active and your face should put on a smile exhibiting your self-confidence. Your way of sitting should be very sober and confident. When you are asked to sit, pull your chair carefully towards you. Don’t drag the chair. Don’t sit while gazing/facing the interviewers directly. Pull the chair an angle and sit about three feet far from the table. In no way touch or bend over the interviewer’s table. Sit comfortably using the whole seat in a relaxed way. Always keep in mind that “first impression is the last impression”. Sit straight, be comfortable occupying the complete seat of the chair and keep a pleasant smile on your face. Don’t change positions frequently as it shows that you are not comfortable and you lack confidence and are nervous. Don’t sit on the edge of the seat; occupy the whole seat. Don’t sit crossing your legs but put your feet on the floor firmly. Look at all the members of the interview board confidently. Don’t feel shy or look at a particular member or on the wall or down. Don’t try to gaze at the members or to look back. Try to look straight and show your sense of attentiveness. Don’t be talkative. There’s no need to present in detail. Talk as little as possible or reply whatever is asked. Don’t be boastful at all. The experts judge very soon what actually you are. Don’t try to show that you are jack of all trades. Confess if you don’t know something. Don’t try to avoid any question. If you don’t know the answer, confess it gently that you don’t know that. This cost you a favorable impression upon the interviewers. Don’t be aggressive. Be tranquil and self possessed. Don’t be extra nervous in an awkward situation. Listen to interviewers patiently and try to understand what they say. Don’t fiddle with things on the table of the interviewers or the in your hand shirt. Don’t try to flatter the interviewers. Avoid all kinds of abbreviations. Make full sentences to express your ideas. Remember you have to exhibit all the qualities in you that the interviewers are looking for. At last when you get and leave the room, walk out of the room confidently. After that interview when you are asked to leave, get up and thank all the members present in the room. If any interviewer expands his hand, take opportunity to shake hands steadfastly and with self-confidence. Leave chair peacefully and put it back in its proper position, turn to leave and walk out confidently. Don’t look back when you leave the room. Don’t forget to close the door properly. A group discussion is a medium that calls for you to discuss and put forward your opinions, ideas/views on a topic in a reasonable, coherent, articulate and grown-up manner. 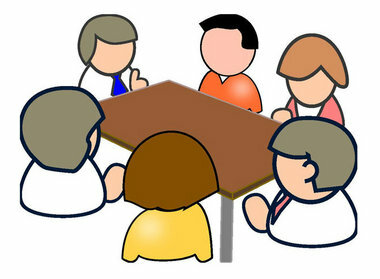 Group discussions are second stage of an interview and an integral part of the selection. The person who conducts the GD and assessing your presentation is called an arbitrator/moderator. The group discussion has become common for personality testing. The process of selection through group discussion may fluctuate from one place to another. The numbers of the students who participate in a GD vary from 8-10 or sometimes 15-20 at top MBA institutes. In GD you are given a topic. Sometimes you are given two or three topics to choose any one for discussion. You are given a topic to discuss for around half an hour. You are expected to put all your efforts in GD. The objective is to test your knowledge of the subject, ability to express in a clear, concise and effective manner and to judge your behavior in the group. In the group discussion, discuss the topic friendly and the time you criticize other candidate’s views, don’t make fun of that candidate and laugh. Try to maintain a sober look, sophisticated and decent behavior. Be a good listener. Be polite while rejecting or contradicting. Support your argument with valid reason. If any candidate criticizes your views, don’t get upset or angry. Accept criticism with a smile. Your leadership qualities are judged in a group discussion. You are not expected to lead a group by actions such as thumping the desk or shouting. The group discussion may be on topics related to society/social trends including education, IT, politics, economics, legal system, current events, sports or article from a newspaper clipping. After half an hour officer can evaluate your self confidence, body language, temperament, presence of mind, convincing and leadership skills. You are also expected to be a good listener and what you say with regard to topic makes sense, if there’s no logic with regard to topic, no amount of good English will help you. One should analyse the topic. Both the selection interview and group discussion are conducted to ascertain the suitability of the candidate for a job and for a course he wishes to take on. If you are preparing for a GD you should improve your knowledge by reading general news, current events and business news in the newspaper every day. Always, read articles that cover a range of issues because articles increase knowledge. Group discussions skill cannot be compressed overnight. It takes time to develop personality, manners, formal way of speaking. To learn to speak in GD, organize a group of your friends/colleagues/classmates and start discussing a topic. This is the only way to learn to speak in group discussion. Select the dress you are going to put on and make sure that is cleaned and well ironed a day before the interview. Make sure that shoes are polished and match a pair of socks with dress. Collect all the testimonials and your interview call letter and arrange in a file. A sound sleep is must to remain fit and fresh in the interview. Don’t study late night the night before interview. Mentally prepare yourself to answer question based on resume, trade, important facts and current events. Read newspaper and note important news on the day of the interview. Reach interview venue half an hour early. Before you are called in, talk to other candidates and discuss important current affairs. Take permission before entering the interview room. Close the door after entering the interview room. Walk firmly, control your gait, don’t rush to the table and wish them according to the time. Wait for the permission to take seat. Let the interviewer start the proceeding. You don’t start on your own. Maintain the pleasant expression through the interview. Don’t fiddle around with your button/stole/anything else. Listen attentively to the questions asked. Speak in slow and clear manner that everybody understands you. Look at all the members while replying and don’t look at a particular member. Give relevant answer to question. Avoid postures that reflect a causal attitude. Don’t lean or rest your arms or elbow on the table. Never miss opportunity to compliment the interviewer. Keep sitting unless you are asked to get up. Before getting up thank the members of the board. Don’t extend your hand for a handshake, let interviewer offer his hand first. Don’t turn back while leaving the room.